The state stopped renewal notices for license plates, now there are no reminders for emissions tests. LINCOLN SQUARE — Thousands of Chicagoans have been socked with tickets for expired license plate stickers ever since the state stopped mailing renewal notices because it can't afford the postage. Guess what? Illinois isn't mailing emissions reminders either. The Illinois Environmental Protection Agency temporarily suspended emissions test notifications in December due to the ongoing state budget impasse. Vehicle owners whose plates expire at the end of March will be the first affected. License plate sticker renewals are typically dependent on an up-to-date emissions test, but Secretary of State Jesse White has agreed to cut motorists some slack. License plate stickers will be issued in the absence of an emissions test, though drivers will be told they're due for a test. When the Illinois EPA begins mailing notices again, standard renewal practices will resume. 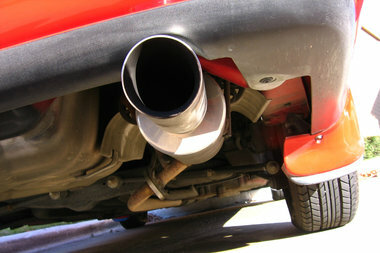 How do you know if your car needs an emissions test? Testing begins when a car is 4 years old, and then every two years thereafter. Certain autos, including diesel- and electric-powered, are exempt regardless of age. As a general rule of thumb, model years 1996-2012 will require testing in 2016. The Secretary of State's Office has an online tool to check a car's status. You'll need the auto's vehicle identification number in order to access information. Once the VIN has been submitted, a "title status inquiry results" page will pop up. Click "get registration status" at the bottom of this page, and if the vehicle is due for testing, text stating "emissions test required" will appear. If this text doesn't appear, no test is needed.